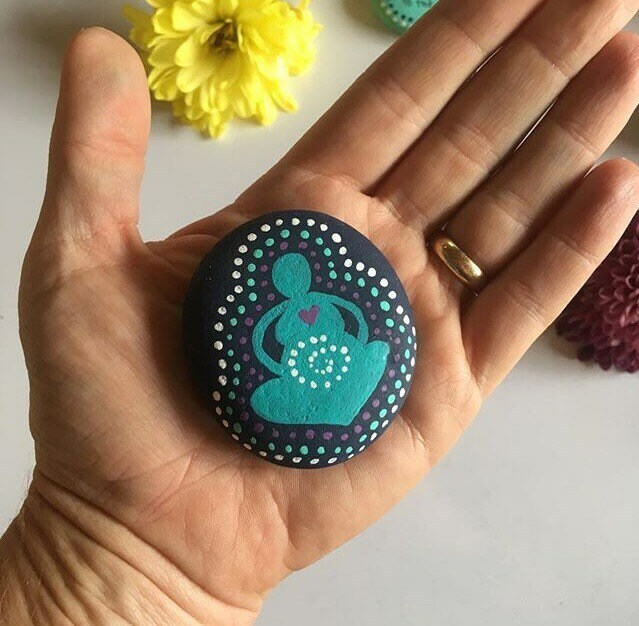 Each stone was chosen to fit comfortably in the palm of your hand- perfect for a meditation aid during pregnancy and for grounding yourself during labor. 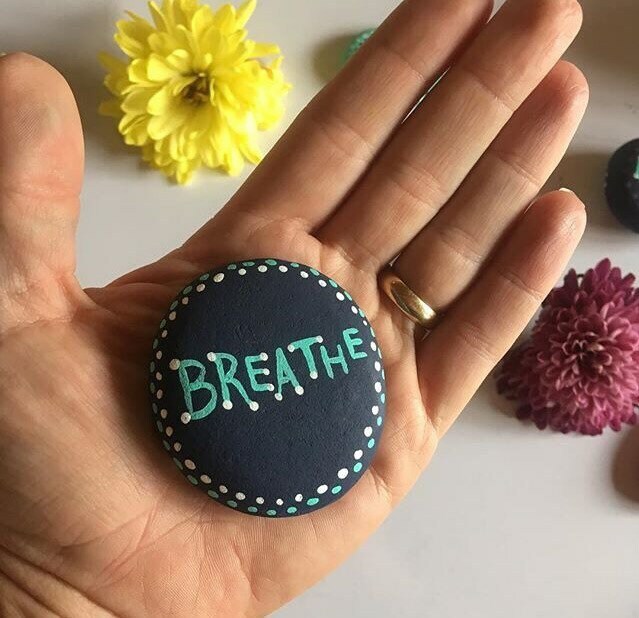 These stones also make a wonderful addition to your birth alter or as a blessingway gift. 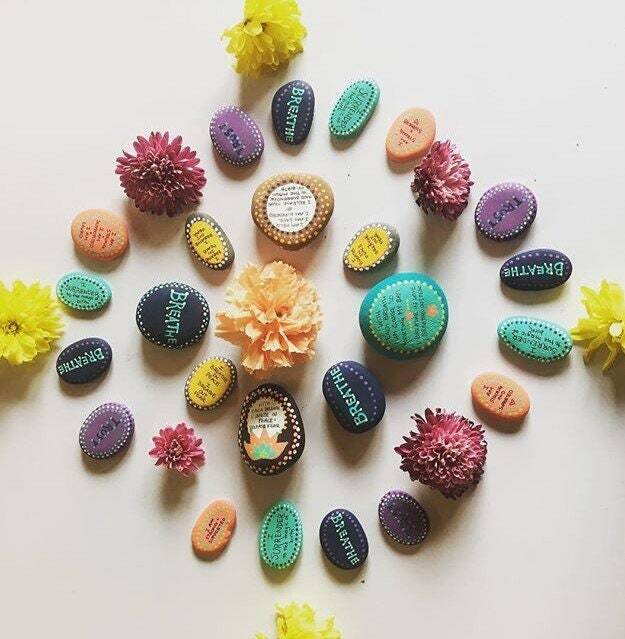 Please note: Each stone is unique and individually painted. 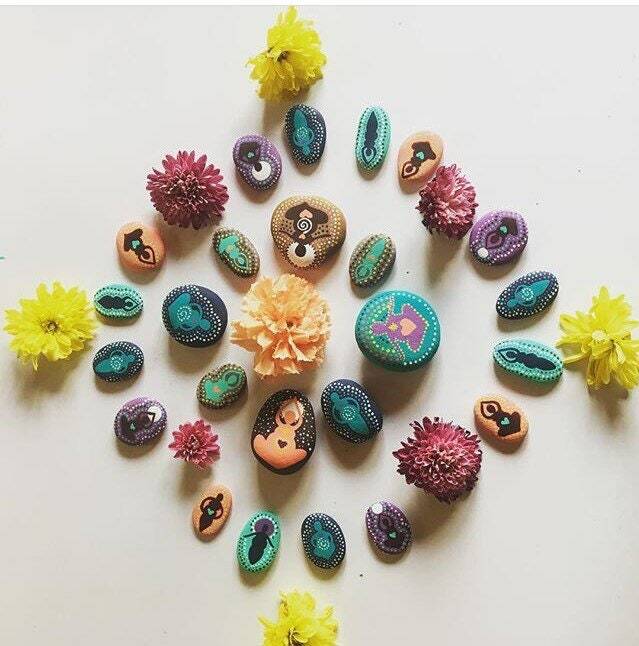 While each stone will have the same figure, colors, and affirmation as the one pictured, no two stones are exactly alike and they vary slightly by size and design. We ship using USPS First Class mail. All prints are shipped in protective plastic envelopes with hard cardstock to prevent bending. Tracking orders can be found on your confirmation page, once your item has been shipped. We love send our art around the world-- international orders always welcome to every corner of the globe!